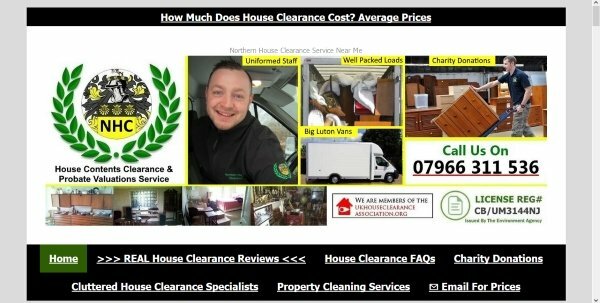 Company Description: We are a family run business offering house clearance services throughout Northern England & Scotland. We are specialists in cluttered house clearance. We will clear all property types as well as clearing garages, lofts & out building. We can work weekends if required. We just require 48 hours notice most of the time and like to turn up at 9am to each appointment to ensure we complete each clearance in a timely fashion. We recycle a lot of what we clear and donate better items to various charity organizations across Northern England & Scotland. We have many genuine customer recommendations to view on our website. We also offer our customers a cleaning service along with our house clearance service, full details on our website. We use large house clearance vans.